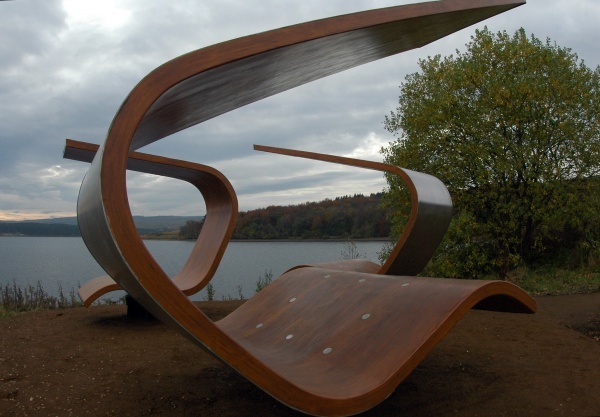 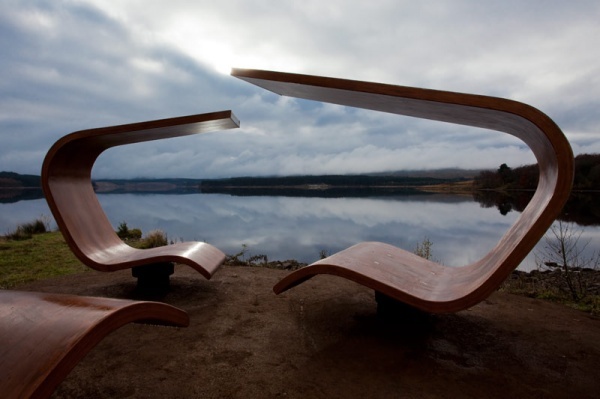 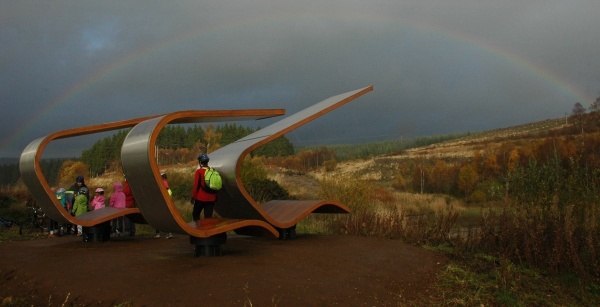 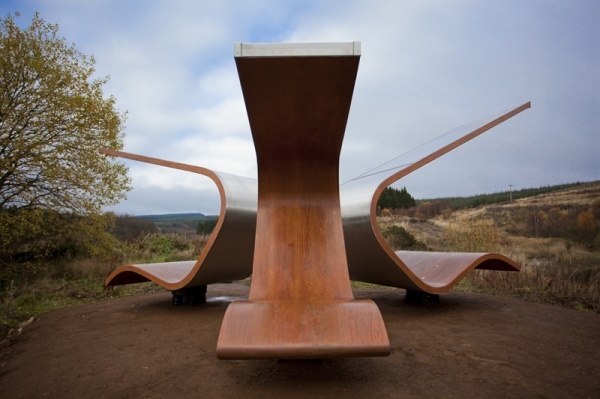 Janus Chairs are three rotating seats located on a peninsula along the Lakeside Way on the north shore of Kielder Water. 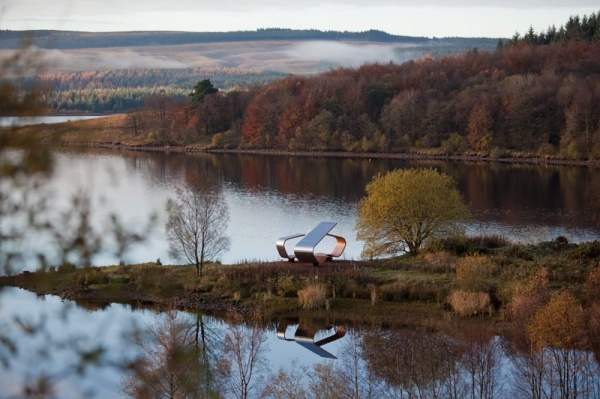 Taking their inspiration from the unfolding petals of a flower, the three chairs are made using a Glulam construction technique and backed with stainless steel. 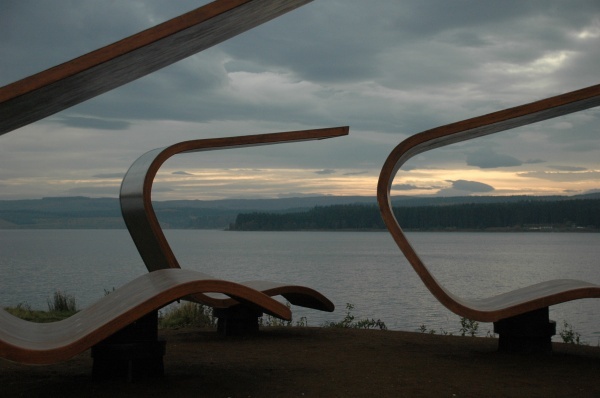 Each chair is a different size and each has a roof that extends over the occupant’s head so that when the chairs are rotated towards each other they overlap to form a partial shelter. 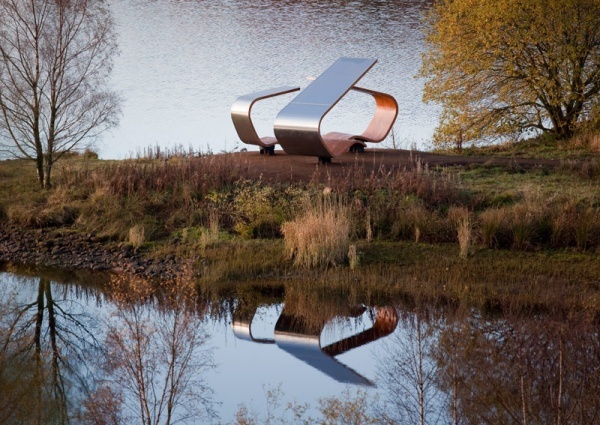 The chairs can be orientated by visitors as they wish; towards the sun, away from the wind or rain, or together as a social group. 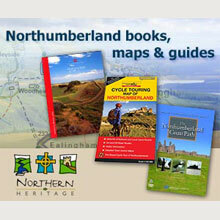 OS Map Ref.NY 665906.